Styled with corteta sweater . These are my favourite work pants. I always get compliments when I wear these. They are professional and flattering. 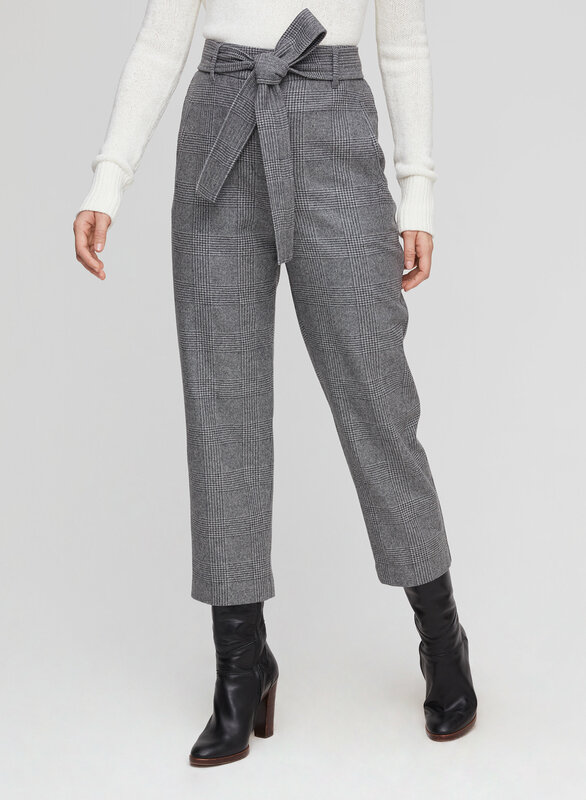 You can wear the pants with the tie or without the tie. The waist has no give though so I would say size up. They are always very warm! 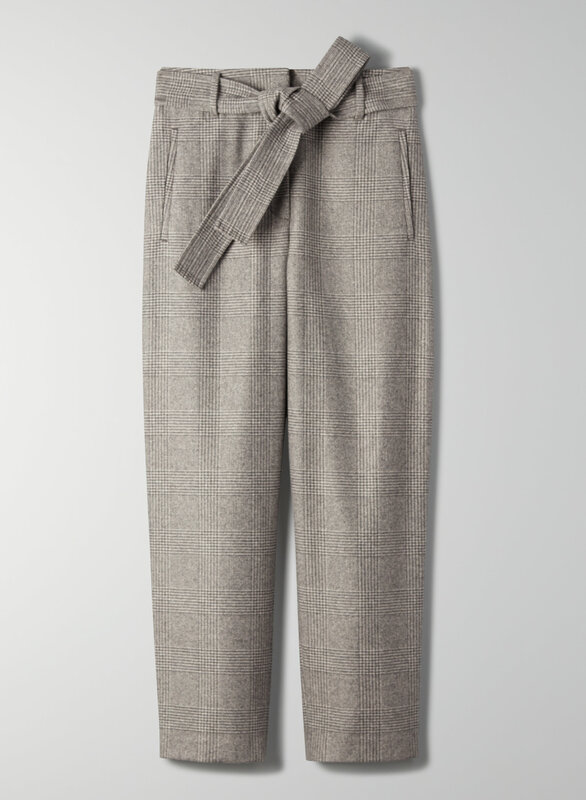 I have four other pairs of Aritzia pants and I'm consistently a size 4 across the board, but I had to size up in these. The leg fits just right, but the waist is very tight. I'm usually a 25-26 in denim, for reference. 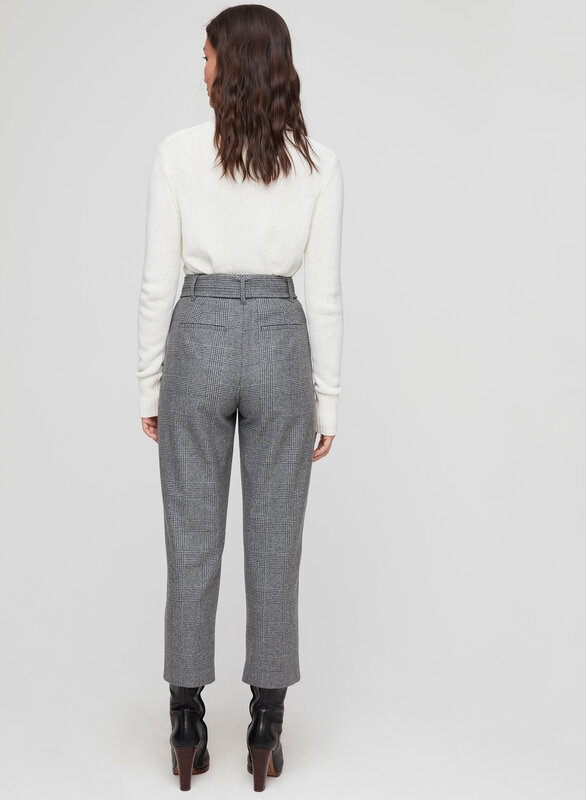 If the cut/sizing wasn't inconsistent with other Aritzia styles, I would have given this 5 stars. I love these pants so much but I wish they were a few inches longer! 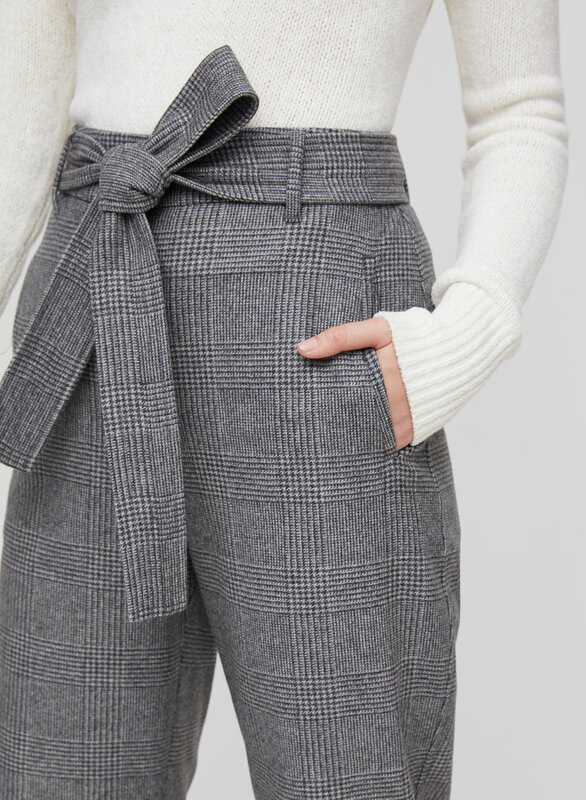 I really like the cropped look but I find all of the styles at aritzia just too cropped. It would be nice to have a longer length and then customers who are shorter could get the items hemmed if they choose. For average height and taller girls there isn't any option if there isn't enough fabric. These are very nice pants and beautiful fabric. Great for winter. 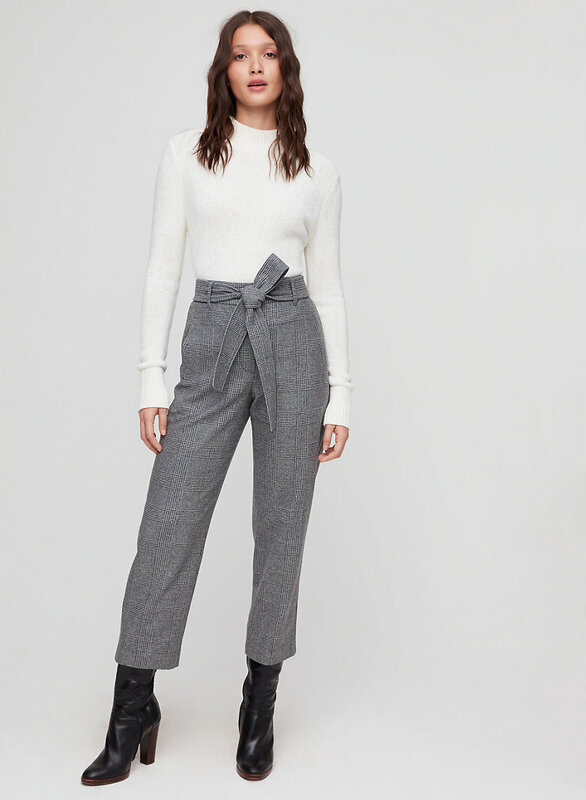 I love the way these pants look, on trend but still professional and work appropriate. I ordered my usual size (4) and they’re a little tighter through the hips than I was expecting but not enough to size up.